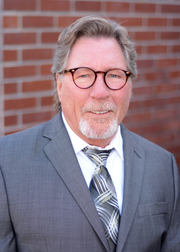 Mike earned his real estate license in 2005 after spending 30 years as a top performing sales professional in the computer controlled milling machine industry in the Silicon Valley. After commuting between the Bay Area and Sierra Foothills, Mike was eager to return fulltime to Cool CA, where he has called home for over 25 years. is the perfect fit offering superior support for a top selling agent, while maintaining a professional and comfortable experience for home buyers and sellers. Mike specializes in large acreage farms, horse properties and ranches in Placer, Nevada, and El Dorado Counties and is a preferred agent on the Horse Properties.net and Equestrian Agents.com websites. Mike is a current member of the Georgetown Divide Chamber of Commerce and past Chair and member of several volunteer committees of the Auburn Lake Trails Property Owners Association. Mike and his wife Kathryn reside in Cool, CA. Mike raised his two sons who attended Northside and Golden Sierra High schools. Mike is an avid outdoorsman who enjoys all of the amenities offered by the area including fishing and boating in the region’s lakes, golfing at local courses, hiking and horseback on the trail systems and skiing in the local mountain resorts. Sierra Brokers Real Estate Inc.
"Living and working on the Divide"
After commuting between the Bay Area and Sierra Foothills, Mike was eager to return fulltime to Cool CA, where he has called home for years. Over the past 9 years, Mike has real estate sales experience with a large corporate agency and a small mom and pop location, and believes that BBR Real Estate Services is the perfect fit offering superior support for a top selling agent, while maintaining a professional and comfortable experience for home buyers and sellers.